Gone from this earth our earth Angel to Our Heavenly Father above. We are thankful to Him forever Joe, for He gave us you and your love. Beloved Brother and treasured friend “Joe Kab” Joseph Harold Kabacinski passed into our Heavenly Father’s arms on October 16, 2010 at the Hospice of Kitsap County, Bremeton, WA. Meeting him at Heaven’s Gate, his father Henry, Mother Loretta, Sister Carol Kuske and Brother Donny. 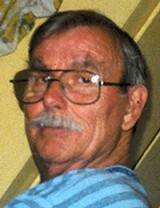 Joe is beloved brother to Gloria Tilly, Larry, Justin, Dwayne, Kenny and Ray Kabacinski all of Green Bay, Wisconsin. He is Uncle Joe to many nieces and nephews. “Joe Kab” is a cherished and treasured friend to Linda, Katie, Michael, Jenny and Rebecca Zewe, Mindy Hall, Zeric and Rebecca Martinez, Malaki and Marley Ella Martinez-Schasuer. Joe was born September 25, 1937 in Crivitz, Wisconsin. His family moved to Green Bay when he was 4 years old and he grew up there. He enlisted as a Seaman Recruit in the United States Navy on October 12, 1954 and held the ratings of SA, SN, BM3, BM2, during his enlistment and retired as a BM2 on December 23, 1974. He served aboard the USS SKAGIT (AKA-105), USS WILLIAM A. WOOD (DDR-715), USS J. C. OWENS ((DD-776), USS DULUTH (LPD-6), USS CALIENTE (AD-53), USS SACRAMENTO (AOE-1) and the USS OGDEN (LPD-5). Joe also did shore duty at the U. S. Naval Station Adak, Alaska, Naval Station Key West, Florida, Coastal Division 15, Qui Nhon, Vietnam, and Ships Repair Facility, Guam, MI. After his service he lived in San Diego, CA where he drove a cab and bartended. In 1980 he decided to move to Bremerton, WA to retire and we have been privileged and blessed to have known and loved him. There will be a potluck celebration of Joe’s life, laughter and friendship for all who wish to join us on Saturday, October 23, 2010, from 6 to 9 p.m. at the Drift Inn, 204 1st Street, Bremerton, WA. In keeping with Joe’s wishes, there will not be any funeral service. 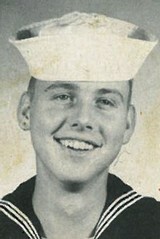 Please sign the online guest book at: www.tuellmckeebremerton.com.